Taking Time To Appreciate Your Appreciation! Last week, we humbly asked MeloTel customers to spend a few seconds writing Google reviews about our company. We created a specific LINK that would take them directly to a page where they could input star ratings and write brief testimonials about our business. And while we continue to encourage all MeloTel customers to take a few seconds to write reviews of their own, we’d like to take this opportunity to sincerely thank all of those who already have! It will never – ever – be lost on us that MeloTel thrives because of our customers. It may sound like a no-brainer to say. Of course, our business thrives because of its customers, how else would it exist? But, as a smaller company within the very large telecom industry, we know that MeloTel customers are people who take chances. Instead of being swayed by big corporate advertising, they listen to word-of-mouth referrals. And we’re SO happy that they’ve paid off! Long time MeloTel customers can attest to the fact that we place customer service above all else. That isn’t to say, however, that we skimp on the quality of the services we offer. Bonnita Calhoun is the co-owner of West Palm Beach, Florida-based Stellar Signs & Graphics. Specializing in everything from high-quality illuminated signs to banners and tradeshow displays to vehicle wraps and lettering, Bonnita’s business is the top-of-the-line in her industry. Reviews like this simply make our day! There’s no better way to put it. What makes us happy is not just that MeloTel’s great customers are willing to share their news with others, but that we’re genuinely helping businesses across North America to achieve greater successes. This has been our mission since the beginning and it continues to be. If you have any questions about MeloTel’s services such as our Website Maintenance Services, our Commercial Phone Services or our Bloggers & Creative Writers For Hire, please don’t hesitate to contact us at 1-888-MELOTEL. You may also use the Live Chat feature on our website! 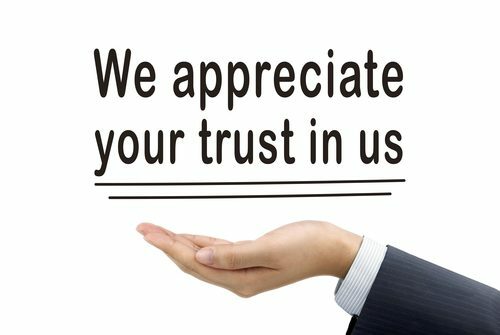 We trust that, if you take the chance on us as well, you’ll be just as willing to offer us a five-star rating of your own!